Jugaadu Internet: Why Did Dhoni Ask Ishant To Bowl the 18 th Over? Why Did Dhoni Ask Ishant To Bowl the 18 th Over? What happened in the 18 th over? Indian fans are still to figure out why Dhoni asked Joginder Singh to bowl the last over to Misbah-ul- Haq in the T-20 final in 2007. India won that match and that was all that mattered. But after the 18 th over bowled by Ishant Sharma in the Champion's Trophy final, one does have an understanding about how Dhoni's mind works and one is left marvelling at his guts and street smart attitude. At the beginning of that over England needed 28 off 18 balls. Morgan and Bopara had brought England close to victory and all that needed to be done was to play out two overs and England would reach the target or come very close to it. There was the last over to be used as a reserve. No risks, no hassles, that is what the two set batsmen must have been thinking. Dhoni knew that if England played steadily the game was theirs. The only thing that could change the mindset was the prospect of some easy runs. Imagine what would have happened when E. Morgan saw it was Ishant who was going to bowl the over. In his mind he would have been slightly shocked and secretly thrilled at the prospect of some easy pickings. One does not know what was going on in Bopara's mind. It is likely that he was thrilled too but there is a possibility that he was alarmed too. So Dhoni had successfully created a change in their mindset from watchfully steady to a more relaxed state of mind and possibly a difference in how the two batsmen looked at the emerging scenario. The result would have been some confusion and excitement. This is where Dhoni scored. He had made the duo alter their plan when there was really no need to. The first ball was a dot ball. Now, Morgan was determined to take full toll of the next ball and he tonked it for six. The next was a wide and Morgan left it alone. When a nervous Ishant pitched another one wide out side off Morgan was seen eagerly reaching for it. The next ball saw a cool and over confident Morgan take it from wide outside off stump to flick it over midwicket. The ball just lobbed up and was pouched by Ashwin. Morgon was gone! The batsmen crossed over and the next ball was short and lifting out side the right hander's off stump. Bopara instinctively hooked and rolled his wrist over to keep the ball down. If an Indian had played that shot he'd have played it in the air but in an effort to keep it down Bopara simpled drilled it straight to the square leg fielder. Two wickets in two balls. Two new batsmen in and the Indians were breathing down their necks in anticipation of a kill. The game had turned on its head, and England's top priority was survival now. India was aggressive, and going for a win. Ishant gave one more run. He had given away 9 runs and picked up two wickets. England was confused and fearful. Gone was the assurance and the lower order had begun to choke.In Jaddu's next over, the 19th, Bresnan was run out before he could figure out what to do. Buttler's nervous swish missed the ball and he lost his middle stump to a predatory Jadeja. Stuart Broad, in the last over chose the safety of the non striker's end and expected Tredwell to score 9 off 3 balls. Tredwell managed 4 and Ashwin beat his bat in the final delivery and India had won. 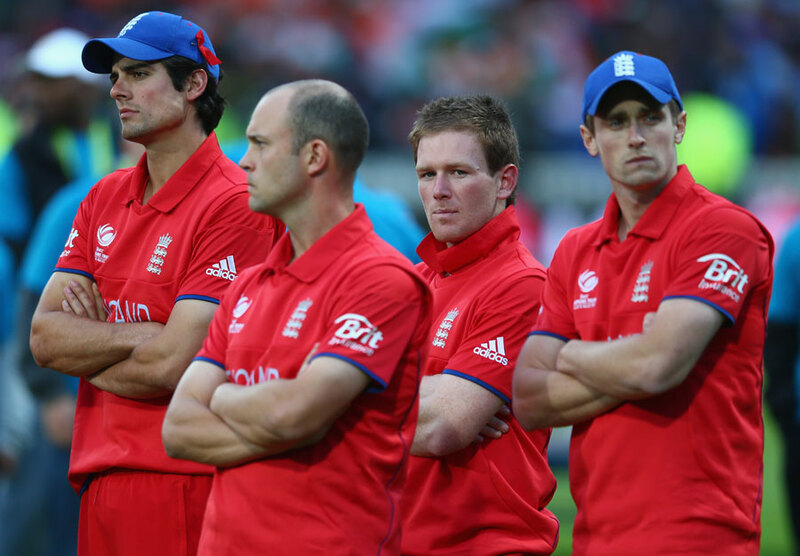 Dhoni's assault was on the English mindset and they disintegrated and collapsed in a heap. Dhoni had again proved why he is the best in the business.